Don't throw that GAME OUT!! We have a professional grade resurfacing machine that will buff out any scratch and get your game working new again! We especially fix the dreaded XBOX ring. We charge only $5 per disc and the game is test right in front of you. If it doesn't work no problem there is NO CHARGE! So bring in your Games, Movies, and Software DVD's we can fix it! Xbox 360- Game not reading? Open tray issue? We can fix that! Overheating, and Red Light issues!? No problem! Bring it over! PS3- Games not reading? Blu-ray movies not playing? We can fix that! Yellow light? Stuck game! We got that too! We also fix handhelds! From crack screens, cases, to games not reading as well. Let us fix it and get your mobile gaming back on track! 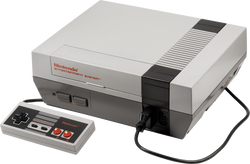 We also repair retro systems from NES, SNES, to gameboy systems. Give us a ring to find out more!